The governor announced a new state initiative Monday focused on bringing ideas to change the state’s criminal justice system to a single place. Gov. J.B. Pritzker signed an executive order Monday to create the Justice, Equity and Opportunity Initiative. Greg Bishop has more…. “It’s time to reduce recidivism and reentry through a holistic approach that addresses opportunity both inside and outside our prisons,” Pritzker said. Lt. Gov. Juliana Stratton will oversee the initiative. She said it will be different than other efforts to address criminal justice issues by looking at equity and opportunity, not just justice. One criminal justice reform advocate, Victor Dixon from the Safer Foundation, said there are 4.2 million people in Illinois that either have been arrested or have served time in prisons. He said many of them find roadblocks to housing, job placement, or education opportunities. “An equity lens means that we will study and explore how people who have disproportionately been entangled in the justice system due to low-level drug offenses can now be the business owners, workers and active participants within the new economy that the adult use of cannabis will create,” Stratton said. Stratton said the goal will be to coordinate with law enforcement, social service providers and criminal justice advocates to address the harm communities have suffered from things like the war on drugs, while ensuring victims get the justice they deserve. Illinois spends more than $1.3 billion running the state’s prisons where there are about 11,000 inmates above capacity. 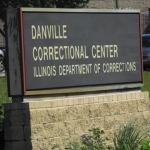 The Illinois Department of Corrections has about 43,000 inmates. It was built for about 32,000. About 48 percent of people released from prison will re-offend within three years. Former Gov. Bruce Rauner set a goal of lowering the prison population by 25 percent by 2025 and had some success. He also focused on economic opportunities for parts of the state with high unemployment. A report from the new initiative is expected in 90 days with subsequent reports due every Jan. 1. Stratton said no additional resources would be needed for the initiative.